The civilian crisis in the besieged city of Aleppo is critical. Civilians have almost no access to medical care, food, electricity or heat. Hospitals, bakeries and homes have been relying on generators, but without fuel they no longer work. There are only two partially operational health centers or hospitals, without medical supplies, equipment or capacity. “People are now exhausted and traumatized. Many have been hiding for days without seeing daylight, without food, water or electricity. Families walk for hours to reach safety, and are exposed to many dangers along the way,” says Ola Ulmo, country representative of the Norwegian Red Cross in Syria. The International Committee of the Red Cross (ICRC) and Syrian Red Crescent volunteers have gained access to evacuate 250 sick and injured civilians from eastern Aleppo, with 10 ambulances and 20 buses. The Red Crescent and ICRC are providing medical care, food and basic supplies, such as mattresses and blankets. It is expected that the flow of internally displaced people will increase in the coming days, with estimates of tens of thousands looking for safer areas. The need for relief will only continue to increase. As part of the ongoing partnership with the Red Cross, DNV GL has established an employee donation campaign for those who wish to contribute to the emergency relief efforts in Aleppo. The campaign will be open until 31 December, 2016. 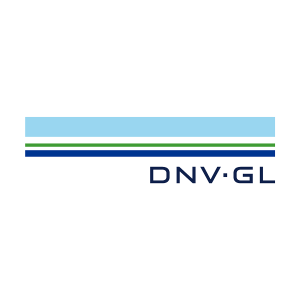 DNV GL will match the total amount raised by employees. For more information about the crisis in Aleppo, please refer to international news agencies.